We are fortunate to have multiple bathrooms in our house. This is really important on those mornings when everyone is trying to get ready at the same time. One of our bathrooms is tucked behind our garage on the other side of the laundry room. I’ve wanted to update the bathroom ever since we moved into this house, but it was always on the back burner. Earlier this summer we had an open house for Christine and it was the perfect motivator. I painted the vanity and the walls. 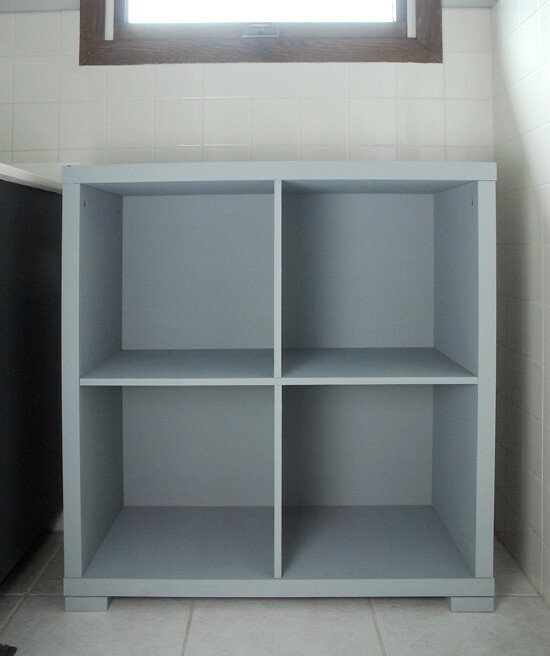 The vanity is a dark blue-gray color and the walls are a light gray color. There is white tile on the bottom half of the walls, so that is why you can’t see the gray paint in the photo above. Anyway, there is a large space next to the vanity and it really needed a storage cabinet. 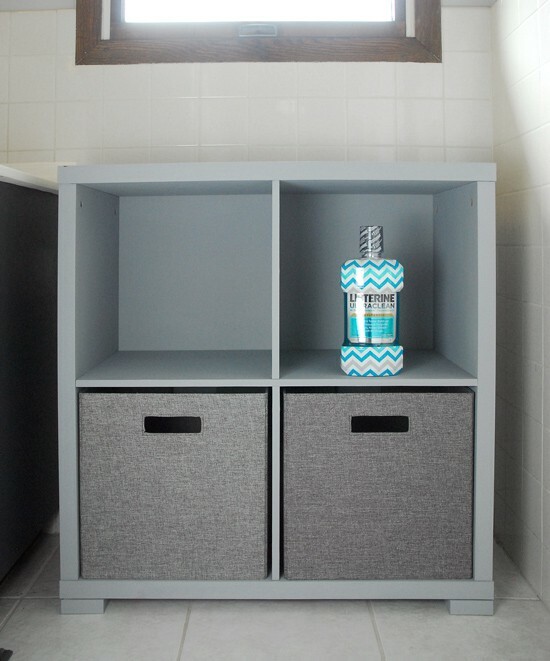 Before I could decorate, I need the storage cabinet. So, I started with a for cube organizer that I painted a light gray color. I put two 12 inch storage boxes in the bottom two cubes. 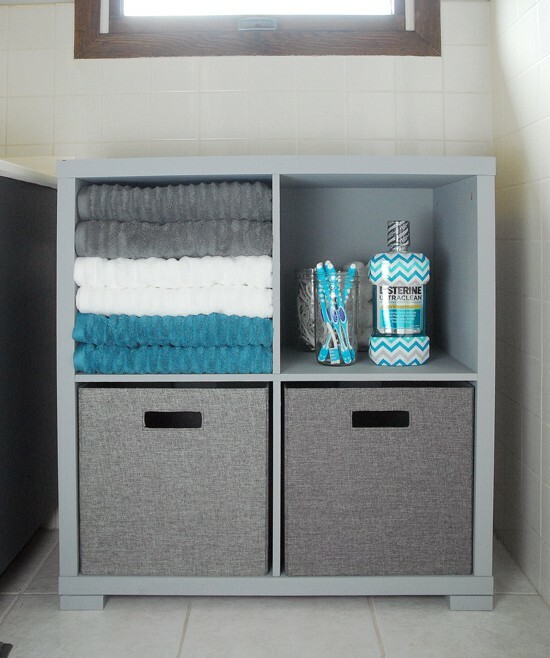 They can hold bathroom supplies, extra towels, washcloths and paper goods. Next came some new towels. Who doesn’t love new towels? I found these gray, white and aqua towels to match our Listerine bottle. The Listerine looked a little lonely all by itself in a cube, so I added some supplies in mason jars. A jar for spare toothbrushes, one for flossers, another for cotton swabs and one for cotton balls. I decorated the top of the storage cabinet with an aqua candle in a large candle holder. I put some small lotions and lip balms in the glass containers in a small wire basket, so they are easy to access. Now, I just have to see how long I can keep the storage cabinet looking orderly with kids around. Thank you! They are from Target. 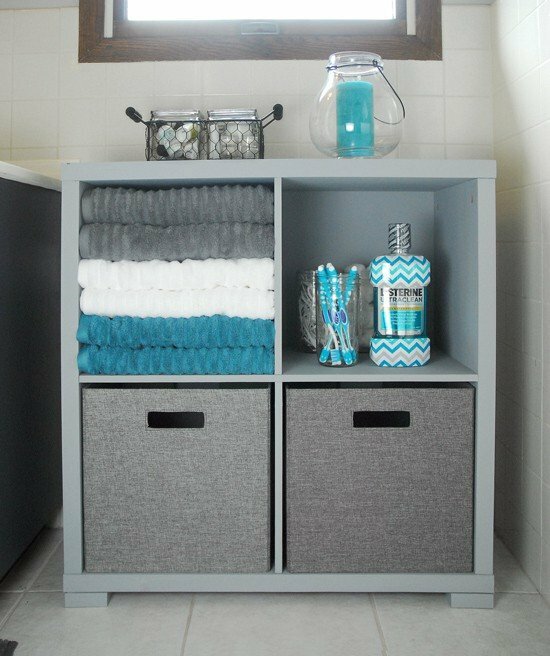 What an adorable bathroom storage area! I love the colors too! Thanks, Kelly! Listerine really is one of those go-to products, isn’t it! I LOVE the new Listerine bottles. I have the orange one and my daughter wants to use it every day now because she loves the new bottle so much! I agree! I had a hard time decided which bottle to go with. Now I suddenly have the urge to get new towels!! 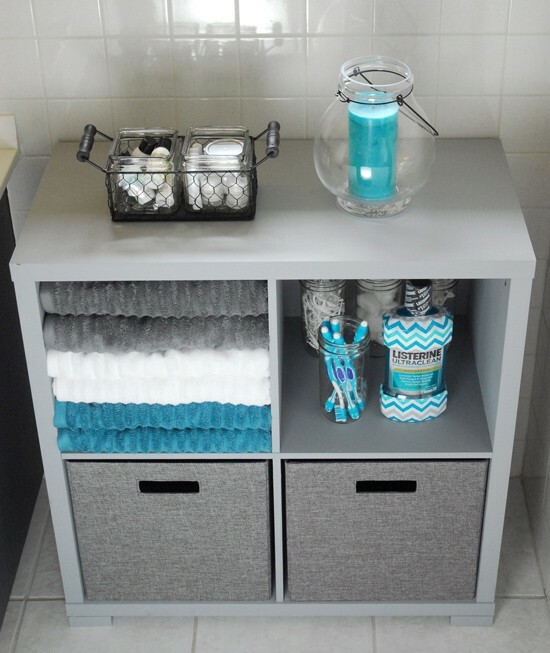 Love your cabinet…super cute! And that Listerine bottle is so pretty! 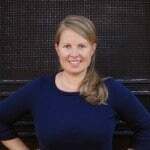 Thanks, Kristi! Isn’t it crazy how fast towels start to look dingy? Thanks, Amy! I hope they come out with more color combinations!